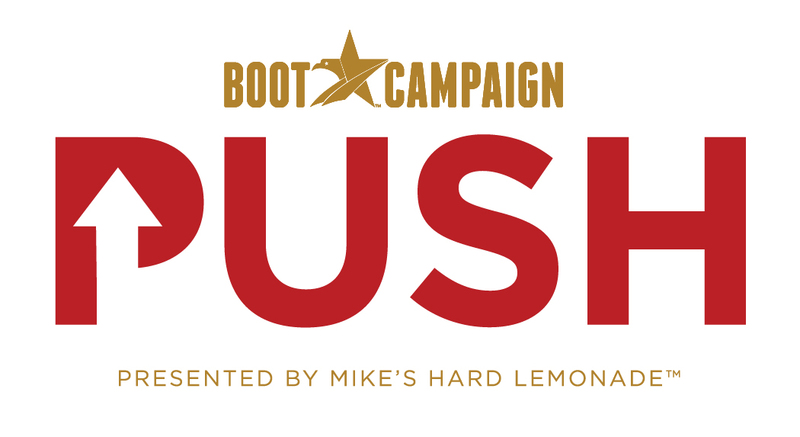 Sponsored by Mike’s Hard Lemonade, the Boot Campaign is combining both the elements of endurance and strength and we now want to PUSH even harder! We hope you’ll join us this Father’s Day weekend for a race to remember our country and those who have and do fight for our freedoms. We are bringing a twist to the 5k! Incorporating our push up campaign within a 3-mile distance, participants will enter a transition area to complete 20 pushups each mile. Are you ready to PUSH? Sign up to PUSH & Run HERE! Join us on the PUSH & Run 5K Facebook page! Visit our PUSH website or email PUSH@bootcampaign.org to learn more!